i’ve just found out, courtesy of Linkedin, that it’s a year since I officially Founded the Art and Homeopathy group. It also is the anniversary of our first meeting in London at Terry Duffy’s studio in Bloomsbury. We no longer meet there, but instead meet at other art related venues. 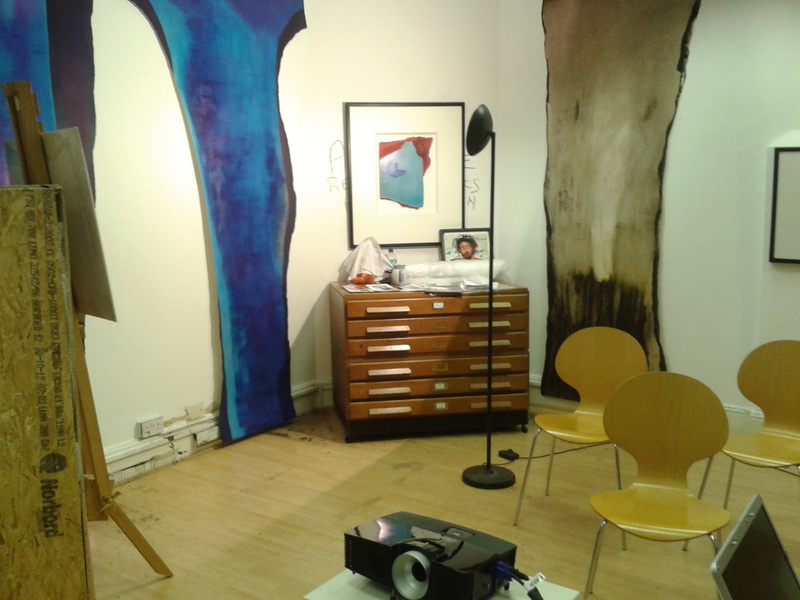 Last November we met at group member Jill Newman’s studio in Southwark; then we had a hands on art weekend in York, with Wendy Pauls, another group member, curating. In June we met at the Art Workers Guild in Bloomsbury and the latest meeting, last week was again at another Jill venue, her studio at the Balfour Street Housing Project near Elephant and Castle. It was again hands on and curated by Jill. We had another new member join us, Kath Law, who is a homeopath, artist and theatre studies student. We each did an art work, based on dreams, and Jill shared some of her own work. Images to follow on the next blog post. We also discussed our intention to do a proving of an art work, using Sherr protocols as a framework. We have devised a way that this can work and will be doing it sometime soon. Other big developments are the exciting preview of the new work led by Jackie McTaggart, collaborating with artist Caroline Howitt and poet Angelika Sivyer, which will be at the Society of Homeopaths Conference at Keele in September. (see blog 21 May 2015). http://www.unturnedstones.co.uk This work, based on the Pattern, Jackie’s exploration of the periodic table and the 18 Stages, is showing the homeopathic journey through the Stages , as an artistic journey as well, the two things being inextricable. Jackie and I met in Manchester last week and I saw one of the original prints which will be available soon. The Art and Homeopathy Group is sponsoring this preview. In a personal development for me, I have been asked to speak on Art and Homeopathy at a global conference on CAM in Chicacgo in October and my abstract has been accepted! It’s all very excting. Anyone wishing to join us please contact me at ifhamilton@yahoo.co.uk or respond to this blog post.